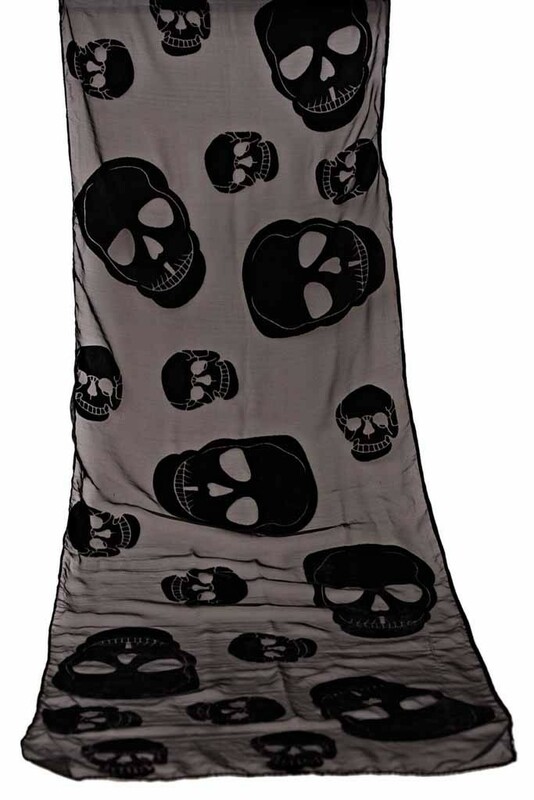 As the weather warms up, it doesn't mean you have to get rid of all your accessories - team this lightweight black velvet skull printed devore scarf with fringing with any outfit to make the ultimate statement. Made from 65% viscose and 35% nylon. Comes in packs of 12 in black. This item is also available in a separate product pack listing in pink.